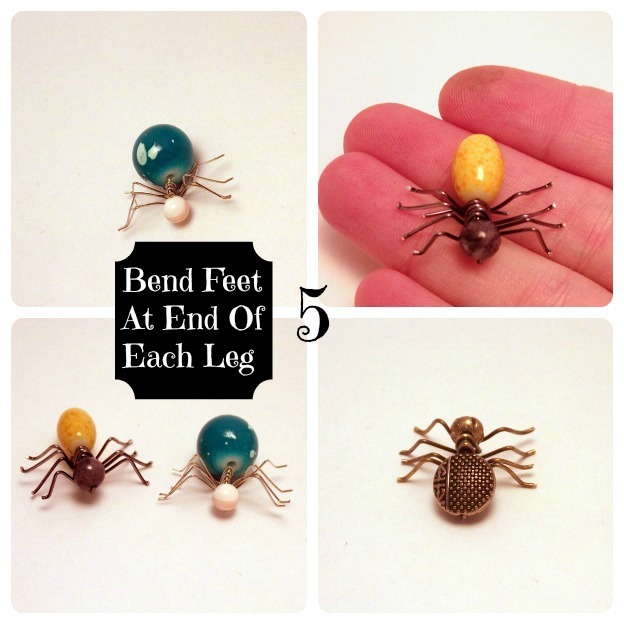 This is a list of step by step instructions to make beaded spiders. 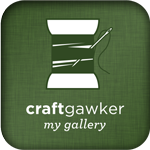 All items are available at Craft and Hobby stores. Cut one wire as the body wire for each spider, it should be long enough to wrap around both beads and make a loop for a necklace or secure a broach pin. I used body wires that measured 4 to 4 1/2 inches or 10 1/2 to 11 centimeters. You can adjust your body wire depending on the size of your beads. Cut four wire legs for each spider. I used legs that measured 2 1/2 inches or 7 centimeters. 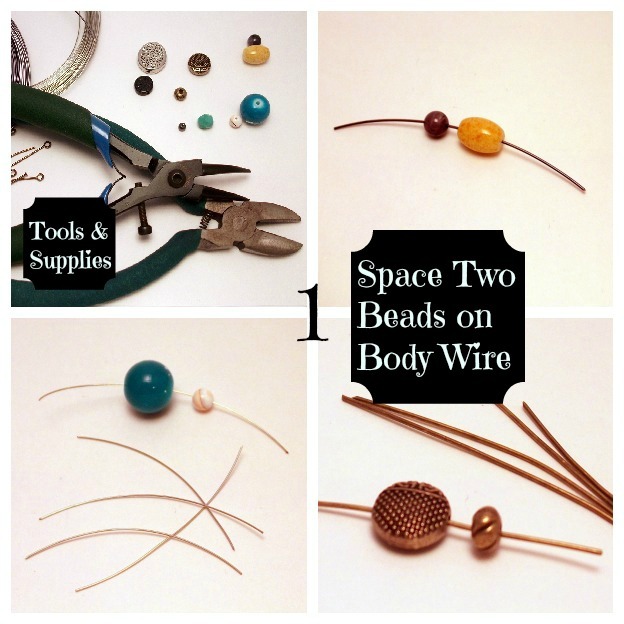 Put the Head and Body bead on the body wire, be sure to leave a space for the legs. 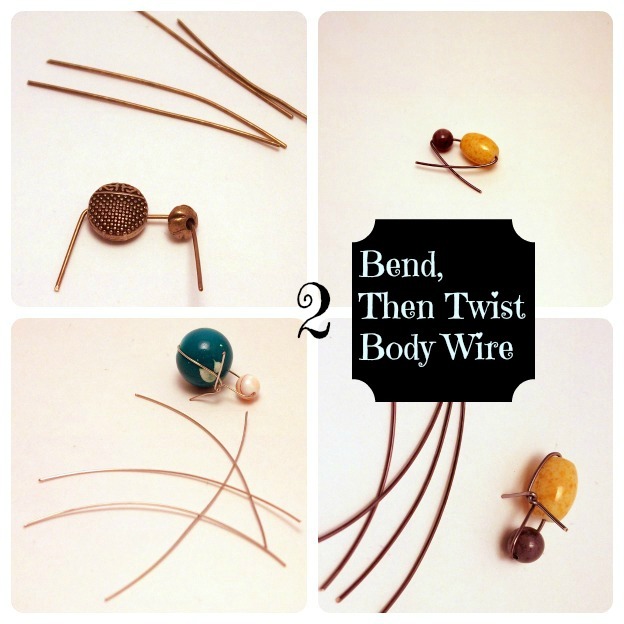 Bend the body wire around both beads, then twist the ends to secure the beads. Be sure to leave a space for the legs. Bend the leg wires in half. Add the leg wires one at a time. 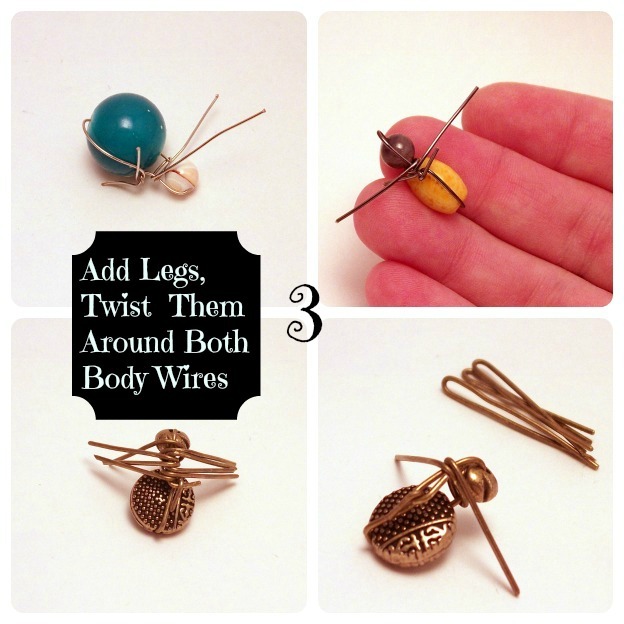 Twist the leg wire around both parts of the body wire (keeps the legs from being loose). Bend each leg wire in half, so the legs look like the letter M behind the head. Spread the legs as needed to space them out. 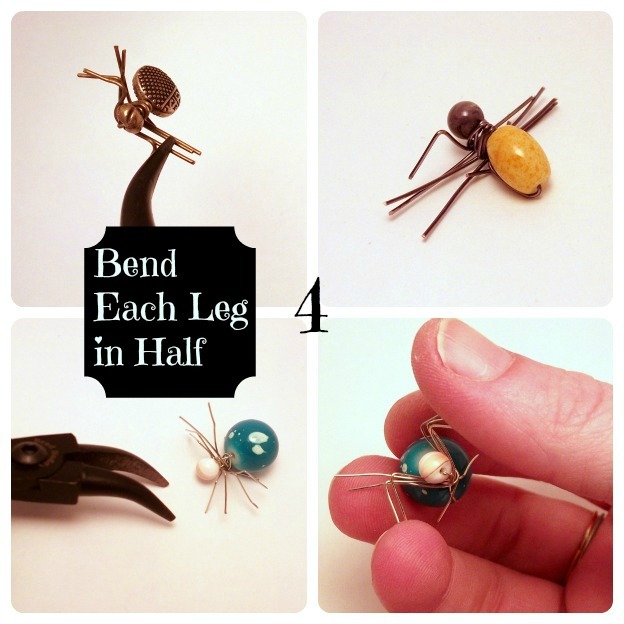 Use your pliers to bend the tip of each leg to make feet. Use the ends of the body wire to make a loop for a necklace or to secure a broach pin. If a broach pin is too bulky, you can also use a blank lapel pin which can also be found at most craft stores. Congratulations, you are done. 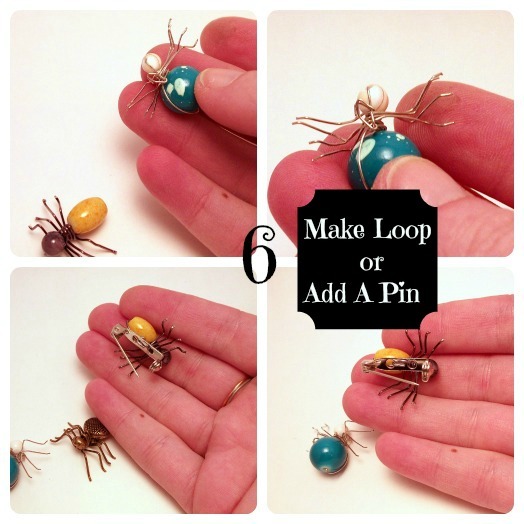 I hope you found the instructions to make beaded spiders clear and easy to follow. Please let me know if you have any questions or if I missed anything. Those are so cute. I'd love to wear them as a brooch. I saw one at a bead shop, but could not figure out how it was made. You instructions sound so clear, I think I can make my own now. Thank you. I really don't like spiders... maybe I can pretend one is an industrious ant! Thank you I love them. LOVE these spiders! Thank you so much for the excellent tutorial! Much appreciated!! Truly amazing spider craft you have made, these spiders have great attractive look, i have never seen such type of crafts anywhere, it's looking quite unique. Thanks for sharing with us. 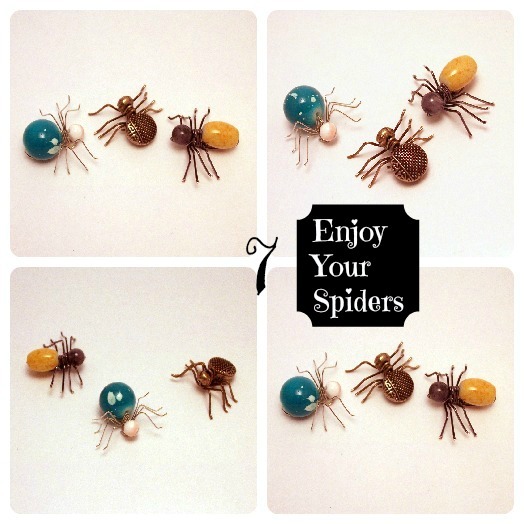 These little beaded spiders are so cute! I'm definitely going to be trying them out! Great tutorial. Going to try it tomorrow. These are amazing. Glad I stopped by! These spiders look so cool. I'll be making some for Christmas. In my neck of the woods, Pa. Dutch Country, a spider in the Christmas tree is a German/Dutch custom. At least these won't walk on the presents! Your instructions are so clear, its makes it so easy to make. i just did one now, may daughter loves it... to her it looks like magic. thank you. thanks for such a great tutorial i believe i can actually make one now. adding this RSS to my email and could look out for a lot more of your respective fascinating content. of clever work and coverage! Keep up the great works guys I've added you guys to blogroll. Wow, this post is good, my younger sister is analyzing such things, thus I am going to tell her. It's remarkable to go to see this web page and reading the views of all friends regarding this paragraph, while I am also keen of getting knowledge. Wow, that's what I was seeking for, what a data! existing here at this web site, thanks admin of this website. want?.I am trying to to find things to enhance my web site! Thanks for the fun spiders! Tell it like it is! I appreciate your comment. My Favorite Movies of All Time-E.T.